We emphasize the aesthetic side of our work because we realize that when your smile looks good, you feel great! We utilize the best combination of preventive care, tooth-colored fillings, and restorative techniques for optimum dental health. Before you undergo treatment, we can show you photos and videos to give you an idea of final results. Today’s smile makeovers are so easy (and affordable!) that there’s really no reason why you can’t have the perfectly beautiful, natural-looking smile you’ve been wanting. Click the headlines below to learn more about some of our options for helping you achieve the smile of your dreams. For some patients with more than one missing tooth, a bridge may be a suitable solution. Custom made with the same high-quality materials, a bridge is secured on both sides with crowns and fills the space for a return to function and comfort, as well as a full smile. Crowns are sometimes needed to save a broken or worn tooth when a simple filling will not fully restore it. A crown will save and strengthen the damaged tooth. We use IPS e.max (monolithic lithium disilicate ceramic), one of the most advanced materials, to make your crown. It also looks so natural, you won’t be able to tell it apart from a real tooth. Teeth Whitening – Brighten Your Smile in Just One Visit! Who doesn’t love a whiter smile? Whiter teeth look healthier and are easier to achieve than most people think. The best way to get your teeth their whitest is with professional-strength whitening. You might have seen our method of in-office whitening on television. It’s called power whitening. 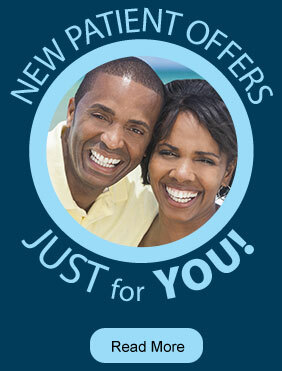 Now you can have a dazzling white smile, without stains or darkness, in just one visit. The results can last for years! We also offer custom whitening trays, made in our own office. You will receive supplies and instructions and complete the procedure at home. This technique is safe and effective. Results generally occur within 1 - 14 days. For those with misshapen teeth, unsightly gaps, or deep discoloration, our porcelain veneers might be the answer. This is quickly and painlessly altering crooked teeth so they have the appearance of years of straightening. Veneers are thin, but very durable, sheets of advanced dental ceramic. They are bonded in a way that makes the teeth appear straight and uniform, creating a pleasing smile. Another common dental problem is chipped, cracked or worn teeth. Veneers can be applied to the tooth to fully conceal the chip or crack and also to reshape worn or misshapen teeth. 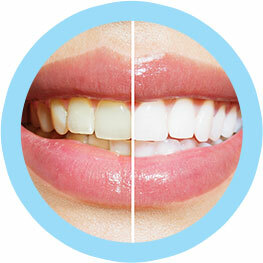 Veneers are made to match the color of the surrounding teeth and look completely natural. Schedule a complimentary consultation by calling (718) 232-4044, and discover how cosmetic solutions and teeth whitening can give you a brilliant new smile!